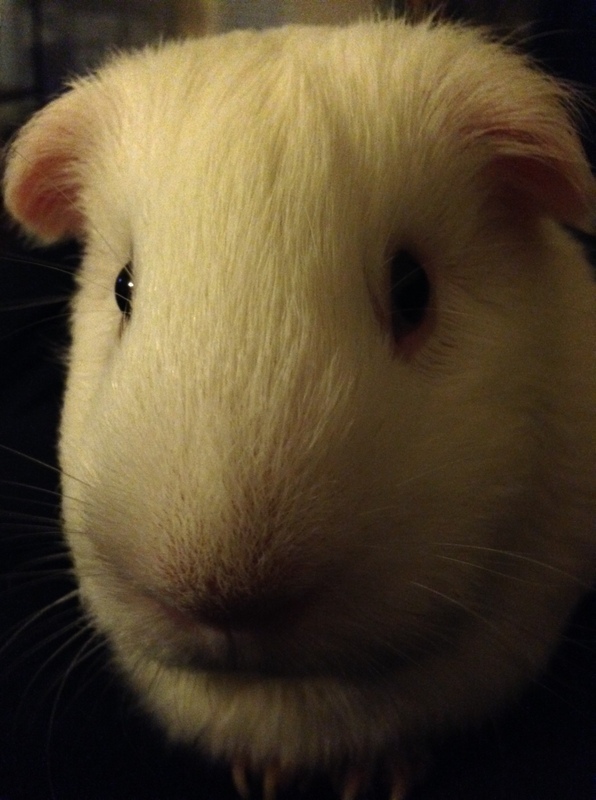 Whenever I hear Princess Piggy Poo wheek, I just assume she wants food. Normally, she wheeks when I’m in the kitchen, or when she hears lettuce bags rustling or the click of a plastic container snapping shut. You can understand why I would interpret her wheeks as a desire for food. Recently, I decided that instead of providing treats when Princess Piggy Poo wheeks, I will pick her up instead of feed her. After all, a hug can be a treat, too. I wonder if my guinea pig will share that opinion. It will be interesting to see if Princess Piggy Poo stops wheeking, when the reward isn’t green and leafy. Maybe she’ll wheek more to get me back on the program — or because she loves all the hugging. Don’t worry. I won’t be depriving Princess Piggy Poo of her favorite cavy treats. Just hoping to add a new one to the lineup. This entry was posted in Uncategorized and tagged cavy, guinea pig, hug, princess piggy poo, treat, wheel. Bookmark the permalink.